Mobile phones with finger print scanner are selling like hot cakes. Right from Apple to Samsung, HTC and Huawei, fingerprint scanner phones are incorporated in a plethora of flagship mobiles now. Amidst the peak of development of biometric fingerprint scanner, Iris Scanner Mobile phones have made their way in the world of Smartphones to beef up the security factor. Privacy lovers can now celebrate the arrival of a new, more powerful, authentication technology – Iris Scanners – a step ahead of the fingerprint sensor technology! Fujitsu is the first mobile phone one who debuts in a whole new realm of biometric iris recognition sensor technology. 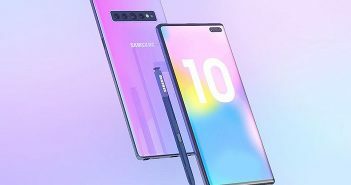 Additionally there are strong rumors in the air saying that Korean giants Samsung and LG are preparing to equip their upcoming flagship devices with biometric Eye scanner technology. Did you know? Generally, iris pattern don’t change after the age of 2 years that is why iris pattern can be chosen just like fingerprint pattern to identify a person. As per many tech experts, eye scanning method is much more secure than fingerprint scanning in terms of encryption and fairly convenient too. Browse through our list of mobile phones with Eye Scanning Technology. Microsoft 950 XL seems to be a piece of excellence that has everything quite sparky. It is a Windows 10 OS phone by Microsoft. This Iris Scanner Mobile phone has a 5.7 inches Quad HD AMOLED clear-black display and runs on the same OS as the desktop PC. The Smartphone is said to have some PC like abilities. Simply connect the phone with a mouse, a keyboard, and monitor. You are ready to work with many desktop applications. 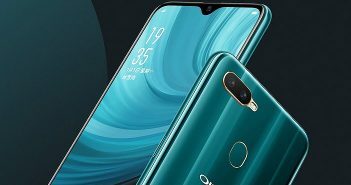 Octacore Snapdragon 810 CPU, 3GB RAM, a shuddering 20MP primary camera equipped with Carl Zeiss optics are some features that the phone has to offer. Fujitsu-Arrows-NX-F-04G uses the advanced technique to scan iris pattern of eye. Fujitsu placed an infrared LED and an infrared camera at the top of the front panel. In order to scan the iris, Infrared LED illuminates the iris pattern, while simultaneously the infrared camera takes the picture of it. If the iris pattern matches with the registered pattern, the phone gets unlocked. As per the reviews, Fujitsu iris scanning is pretty fast and much accurate than fingerprint scanner. Another pro of the mobile is that, it works well in all lighting conditions. The device is also sure to blow your mind with its high-end specifications. Flaunting a 5.2 inches display with 2K resolution, this Iris scanner phone runs Andriod 5.0 and is powered by an Octacore Snapdragon 810 CPU clocked at (2GHz x 4 + 1.5GHz x 4). Plus, a powerful Adreno 430 GPU clocked at 600MHz and the LPDDR3 double channel 3GB RAM ensures flawless multitasking. This phone is exclusively launched in Japan only. Vivo has announced the launch of its Eye authentication Smartphone partnered with ‘Eyeverify’ which is up for sale. Stuffed with powerful front camera of 32MP, the mobile has the capability to capture images like a pro. Unlike Fujitsu NX F-04G, Vivo X5Pro Iris scanner uses blood vessels pattern in white part of eye. There is no infrared LED to illuminate the iris pattern. It may take up to 20 seconds to register an iris pattern using X5Pro scanner and unlocking the phone may take over 2-4 seconds. The X5Pro comes with a 4G, dual SIM Iris Scanner Mobile phone and a Super AMOLED 5.2 inches display. Powered by Snapdragon 615, Octacore CPU, the phone runs Funtouch OS 2.1 on the top of Android 5.0. The device also supports 16 GB internal memory and up to 128 GB expandable storage. ZTE Grand S3 is an ordinary android mobile phone with one neat trick (a unique biometric security feature) – Irirs Scanner technology in collaboration with ‘Eyeverify’. Being branded as Eyeprint ID, the technique uses vein patterns from the white portion of eye to unlock the phone via the front camera. Other specifications of the phone include a 5.5 inches IPS LCD FHD display, Quad Core Snapdragon 801 processor and 3GB RAM. As far as the camera is concerned, the phone flaunts a 16MP primary camera and 8MP front facing shooter for selfies. The device has 3100mAh battery. Similar to ViVo X5 Pro and ZTE Grand S3, Alcatel also teamed up with Eyeverify and implemented eye scanner technology for its phones. Alcatel uses the same method for scanning eyes. UMI’s eye scanning is much more secure than fingerprint scanning. It is said that no one can hack your device in any event. The UMI manufacturers haves added EyeVerify powered Eyeprint technology that scans eyeball vein to authenticate the access. It takes up to two seconds to unlock your phone via Eyeprint sensor. UMI Iron has a very elegant and ergonomic design that can take your breath away with its stunning looks. This slim-trim Smartphone has 5.5 inches full HD display, 3GB RAM and 1.3 GHz octa-core CPU coupled with Mail-T720 GPU. Sporting a 13MP primary camera and powered by Sony IMX214 sensor, the phone allows you to take significantly high-quality images. Its 8MP front facing shooter is quite be attention grabbing to offer best selfie photography. Features a 5.5-inch HD screen that packs an 8MP rear camera with LED flash and a 5MP front camera with flash. The biggest highlight of the Smartphone is its Eye Verify technology (Iris Scanner) for phone unlocking using the front camera to prevent unauthorized access. However, the scanner works well when you are in a well-lit environment. The UI of TCL is pretty neat and quite similar to Android. The 4G-enabled Smartphone is powered by a 32-bit quad-core processor with 2GB RAM and 16GB storage. The battery is 2,500mAh and runs Android 6.0.1. As per the rumours, the upcoming Galaxy Note 7 will debut Samsung’s long-awaited iris scanner. Based on other reports, the Samsung Galaxy Note & is expected to come with a 5.8-inch Quad HD dual-edge Super AMOLED display. Under the hood it will contain 6GB of RAM. 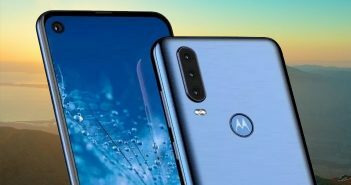 The phone is said to sport a 12-megapixel camera with dual-pixel phase detection autofocus, and a battery size of between 3,600mAh and 4,000mAh. What are your thoughts on Iris Scanner Mobile? Is an iris scanner a must-have technology in your next device? Which security measure do you feel most comfortable with? Do tell us in your comments below. Next Article Download Prisma for Android – Turn Every Photo into Art!